I know it has been over six months since we adopted Gizmo. Gizmo has fully entered and captured our hearts. He is just the best! He is such a quick and eager learner. 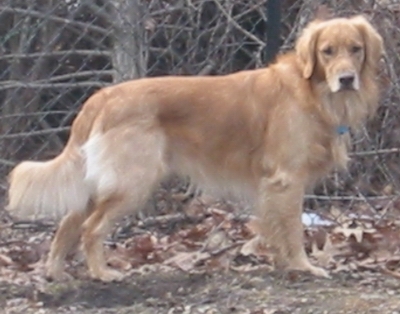 He has learned "DOWN" and has stopped pulling thanks to some training with a Gentle Leader. We enjoy long walks and saying "Hello" to everyone. Gizmo is very outgoing and is learning his manners. Gizmo loves going to the dog park. He runs like lightning with the other dogs usually leading the group. He is very speedy. Gizmo introduces himself to all the dog owners, too. He loves attention, from anyone that will give it to him. We discovered a hidden talent; Gizmo sings along with guitar! He loves Beatles' songs and other 60's songs. Quite the entertainer! 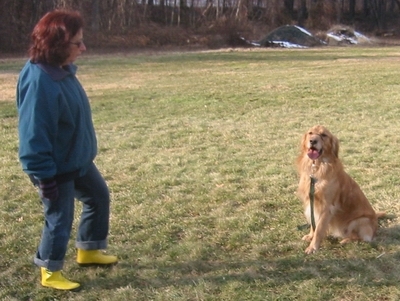 Gizmo has had several private obedience lessons. We will follow up with group lessons and then we are hoping to start agility training. We just hope Gizmo isn't too distractible. Whatever, he is just a happy fellow.